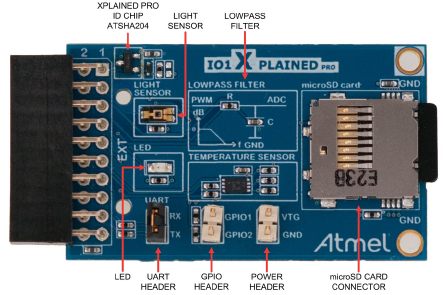 The SAM L10 Xplained Pro Development Board uses an ATSAML10E16A MCU. It includes a user push button and LED, a QTouch® button, and an ECC508A CryptoAuthentication™ IC. 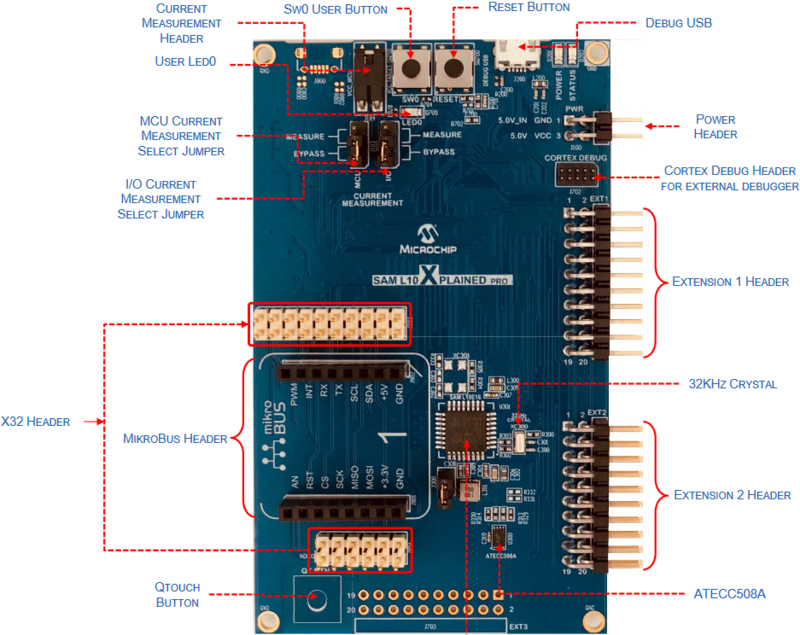 It also has a USB micro-B connector for program/debug, a current measurement header, two extension headers for connecting Xplained Pro extension boards, one X32 header, and one mikroBUS™ header for connecting Click Boards™. As of June 2018, there were 19 Atmel START example projects that use this board. To find all currently available example projects related to this board, go to the Atmel START homepage, click on BROWSE EXAMPLES, and select this board from the drop-down list.